In the past 9 years being a single-parent, Valentine's Day seems a not so celebrated day in my life. Though others celebrate it with much extravagant by giving a heart shaped chocolate-candy boxes, flowers to jewelries, it's easy to believe and envy everyone around who has found true love. But how do I survive this holiday as a Single-Parent, celebrating Valentine's Day in a different way which is more meaningful. Honestly, every year I celebrated VDAY(Valentine's Day) with my KIDS., a celebration on UNIQUENESS. SHOPPING, LEISURE TIME and BONDING Of course, we do these everyday...we shop a lot, we eat a lot together, we bond a lot...but do I tell them that I appreciate their presence, that I NOTICE them as a UNIQUE INDIVIDUALS? This is the time I want them to see and feel that I value them, that I observe their UNIQUE TALENTS and I observe their qualities as they grown. Part of loving someone is to get to know them inside and out. Yes, I know my children's better, and I know that each of them have different abilities and talents that can develop good opportunities in the future. We also have time to cook some tidbits from our fridge and make it into a SPECIAL VALENTINE'S DAY MEAL. Single-parents should not feel that they are a left-out during this day, because hearts and flowers aren't just for lovers---romantically in-love with each other, but also this is the time to honor people who are dear to us, who are always there loving us no matter what. I am not bitter, but how we can be happy this day if we feel negatively. As I say from my last post, #FUTUREFriday Single Parent Shoutout --- CHOOSE TO SHINE in any way! Shine with confidence and view life with a new path. Think positively. This year, I skip going to an event because of health reason, but we have our post VDAY celebration(which I'm going to share for my next post) this coming Feb. 22 together with my friends. Cheer up single-parents, especially moms like me, this is not the end of the world. We have still our children's with us, they are our romantic baby love. We are the center of their love, we are their UNIVERSE! Enjoy the TIME FOR OUR SELF first, bring back that courage and confident. 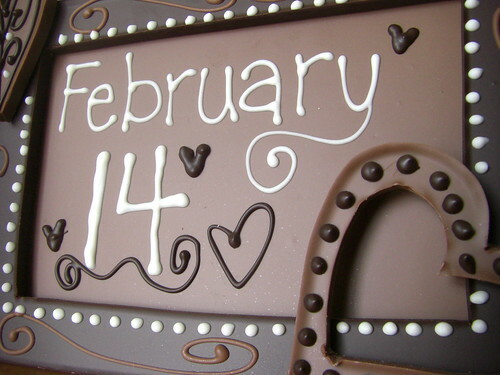 Someday---maybe next year this would change.,next Valentine's Day we will celebrate it with our partner. The one that will bring love and long term stability for us and our children. And to think of waking up each day, that we have someone to EMBRACE, to HUG, to TRUST., that we are not alone with our journey, that someone is there to LOVE US no matter what. I guess, for a single parent Valentine's Day should be celebrated each day. I love your thoughts on how you survive Vday Pal. Thanks Papaleng. Happy Valentine's Day to you and your lovely wife. I like your ways of surviving valentines day, being single isn't all that bad. You are so right....loving yourself is most important. Hope you got some cuddles with your cuties!